Oliver Appropriate is a very interesting ending chapter for Say Anything. It ends the story which began with their acclaimed …Is A Real Boy album, and simultaneously closes the door on the band for now. It is sometimes hard to say goodbye to things you love, and that is certainly the case for me here. Say Anything is a band I fell in love with around the time of many others, with the release of …Is A Real Boy in 2004. It is fitting that the same character from that album will close out this chapter of the band’s career in Oliver Appropriate. 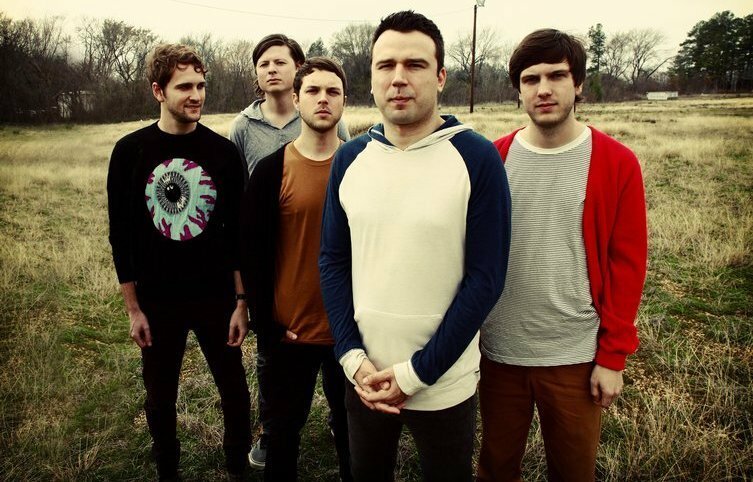 In a wordy and rambling nine-page post, Max Bemis laid the band to rest with this album. He also made it clear that this wouldn’t be permanent, maybe, but he is done with music in the traditional sense. This all comes from a slowly building breakdown he suffered, fueled by missing his family while touring, snorting antidepressants, and copious drinking habits. In his letter, he detailed long nights of this, while recording the album, and how it pushed him to the edge of his sanity. Somewhere in the process, he realized he wanted out and broke from it all. But Bemis realized that in order to do this, he would have to put his music career behind him for now. Oliver Appropriate revisits the character Bemis inadvertently created in the seminal album …Is A Real Boy. While he had no name in that time period, ‘The Real Boy’ is the prime figure of this newest album, now donning the name of Oliver. Bemis explained that Oliver is basically his evil counterpart, representing the person he believes he would have become if he wouldn’t have had the support system he does and hadn’t come to terms with himself and his sexuality. Oliver is homophobic, aggressive, and toxic. Oliver Appropriate takes place over two days with 14 short songs to chronicle them. The music is very reminiscent of …Is A Real Boy, with catchy choruses and bombastic pop-punk laden with more mellow indie rock moments. There are a lot of more intimate moments than they are known for, however. Bemis showcases his individual talent with a few acoustic tracks to break up the mix in Oliver Appropriate. In the album, Oliver cannot come to terms with ever being able to like a man, and after sleeping with one, has a breakdown. After being fired the following day, he goes back to the man for comfort, who then turns him away. He kills the man, and then drowns himself by attaching the dead body to himself with a large rock and jumping into a bay. It’s a heavy theme, and portraying this character is what pushed Max Bemis over the edge. ‘Letting go’ in a sense of Oliver, is what freed Bemis and let him walk away from music for now. The album is raw and emotional going through this journey, with Max enlisting help from his friend Karl Kuehn for both writing, drumming, and vocal help. This album actually features the first song Max didn’t write for Say Anything, “Your Father”. This track was written exclusively by Kuehn. There are a lot of songs on this album that don’t feature the full band. Some are more intimate and feature just Bemis with an acoustic guitar. Some also begin like that, before the full band joins in later in the song. The closing track, “Sediment”, is a good example of this. It is the only song that is over three and a half minutes long, and clocks in over five. But the first two and a half minutes of it feature just Bemis, with a sudden crescendo from the full band, before it dissolves into an incredibly creepy spoken word epilogue, over dissonant piano keys and eerie synth notes. Bemis said he was doing a lot of reading and research into sociopathic behavior while revisiting the character of Oliver, and the closing words sound like something out of a horror movie. It’s an interesting end to a toxic character. The lyricism of Bemis is direct and raw as always, and Say Anything continue with a sound situated somewhere between pop punk and indie rock, with hints of a lot of other elements in-between. “Captive Audience” is led by a piano number and a synth, being joined by an acoustic guitar partway through, separating it from pretty much every other song. It’s also my favorite song on the album personally. “It’s a Process” is another song totally different than the poppy indie you’ll find elsewhere on Oliver Appropriate. It is much more of an actual pop song, led by an electronic beat and synths with heavily distorted guitars. This is the most diverse the band has ever been, even if a lot of the post punk vibes they began to implement in recent years has subsided. This feels like a much more mature continuation of …Is A Real Boy, and thus feels like a great moment for the band to take a break. But what makes the album truly special is not the music. If you read Bemis’ outpouring where he announced the album, it makes this album a much different listen. It’s a long read, and at times it is confusing and scatterbrained, but it’s an inside look to the creative process of what made this album, and how it inevitably made him fall out from music. Oliver Appropriate is what happens when you are battling thoughts about the worst parts of yourself and on a slow, burning decline with your mental health. The death of Oliver is the death of Max Bemis’ shackles, and the beauty of that makes me love this album immensely for what it means. I wish for the best for Say Anything if the time is ever right for a resurgence, but more than anything I wish for the best for Max Bemis as he overcomes his struggles and starts a new chapter of his life. Previous PostBrutus Announce Sophomore Album and Unleash Single "War"
Next PostSpring 2019 is About to Get Knocked Loose with a US Tour!